When you stay at Balneario de Archena - Hotel León in Archena, you'll be on the riverwalk and 8 minutes by car from Parroquia San Juan Bautista. This family-friendly hotel is 14.7 mi (23.7 km) from Terra Natura and 22.5 mi (36.2 km) from Sierra Espuna. When you stay at Balneario de Archena - Hotel Termas in Archena, you'll be on the riverwalk and 8 minutes by car from Parroquia San Juan Bautista. This 4-star hotel is 14.7 mi (23.7 km) from Terra Natura and 22.5 mi (36.2 km) from Sierra Espuna. 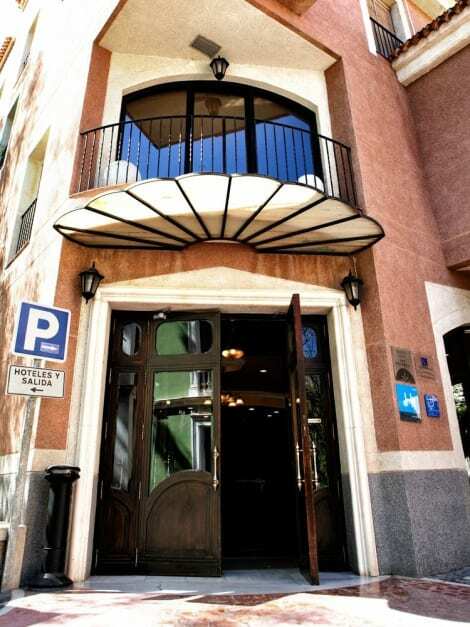 A stay at Hotel Hyltor places you in the heart of Archena, a 3-minute drive from Parroquia San Juan Bautista and 12 minutes from La Conservera. This 4-star hotel is 13.9 mi (22.4 km) from Terra Natura and 21.8 mi (35 km) from Sierra Espuna. This apartment hotel is situated in the town of Archena, on the main road heading to the Balneario Spa, which is around 2 km away. The centre of Archena can be reached in around 5 minutes on foot, whilst restaurants and nightlife spots are only 100 metres away. The local bus stop can be reached in 5 minutes on foot, and the park is a similar distance away. San Javier Beach is roughly 9 km from the accommodation, whilst the city of Murcia is approximately 25 km or a 25-minute drive away. Nearby airports include Murcia-San Javier Airport (26 km away), El Altet Airport (90 km away) and Almeria International Airport (237 km away). This charming apartment hotel features excellent installations and is comfortable, offering all the necessary services to its guests. The 4-storey establishment comprises a total of 28 apartments and studios. Guests are welcomed into a lobby with a hotel safe and cloakroom, and on-site facilities include a café, a bar, a restaurant (100 metres from the apartments), WLAN Internet access, and room and laundry services. Guests arriving by car can leave their vehicles in the nearby car park or parking garage. The establishment consists of 11 studios and 16 apartments. The apartments come with a dining room with a sofa bed; a bedroom with a double bed; a kitchen with a fridge, microwave and tea and coffee making facilities; and an en suite bathroom with a shower. Additional amenities include a hairdryer, satellite/cable TV, Internet access, a safe, a washing machine and an ironing set. Furthermore, the accommodation units are fitted with air conditioning and a large terrace, or a balcony in the case of the studios. The establishment features a sun terrace. Guests wishing to play a round of golf can visit the Altorreal course, which is a 15-minute drive from the accommodation. Featured amenities include express check-in, dry cleaning/laundry services, and a 24-hour front desk. A roundtrip airport shuttle is provided for a surcharge (available on request), and self parking (subject to charges) is available onsite. lastminute.com has a fantastic range of hotels in Archena, with everything from cheap hotels to luxurious five star accommodation available. We like to live up to our last minute name so remember you can book any one of our excellent Archena hotels up until midnight and stay the same night.